AKERMAN - SWINDON, THIS IS SWINDON. William Henry Akerman was born in Grafton, Oxfordshire in 1865. His family were landowning farmers. 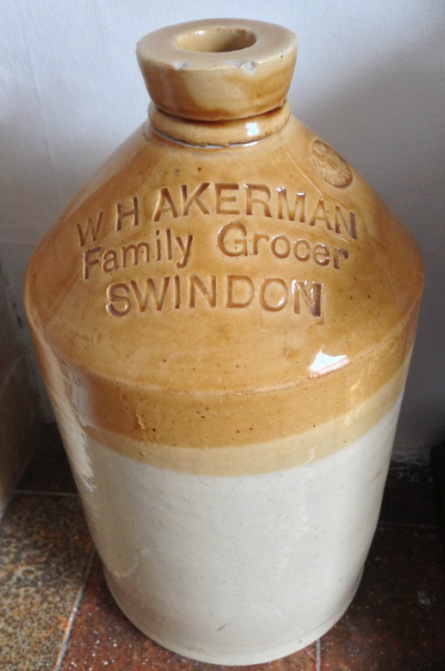 He was first recorded in Swindon when under the name of White & Akerman he tenders and wins the supply of bread to the Highworth & Swindon Union in September 1889. 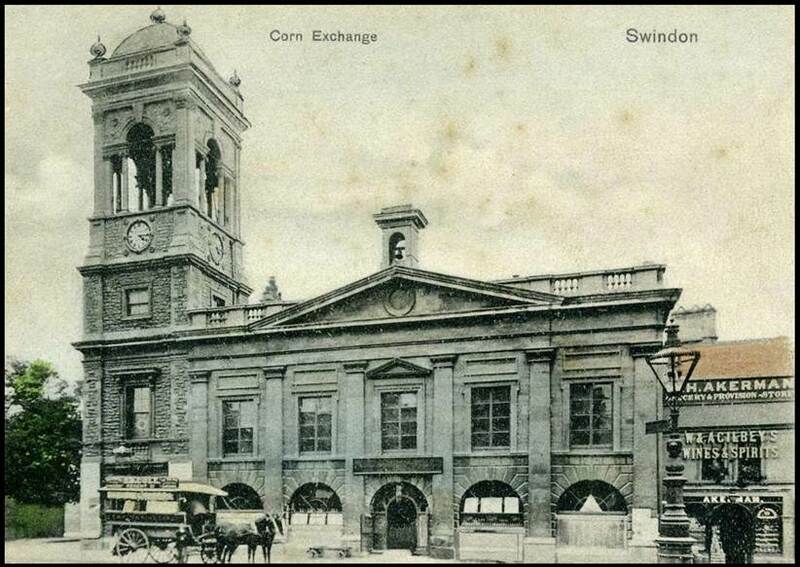 Next he applied to take over the Grocer's licence of James Hartland, at No 24 High Street, Swindon, in a joint venture with Ernest White. The application was put before the court on 9th October 1889 and was granted. White & Akerman were partners for roughly five years and parted company sometime between September and December 1894 with the shops in the High Street and also now in the Market Place continuing under the name W. H. Akerman. His shop still appears in the 1904 postcard below. By the 1911 census he has moved with his family and is now a grocer in Burford, Oxfordshire.